Posted on January 14, 2019 by Editor Posted in Beauty Tips	. Having pimples can be a big problem for many. Sometimes it can even negatively affect self-esteem and confidence. Acne can be unavoidable, but there are also ways to mitigate its development. Hence, it is important for us to know what things are our breakouts. One of the main reasons that we get acne is because of our genetics. If your parents have a history of acne, the chances of you getting some will also be very likely. Your hormones will determine how sensitive you are to acne, or how oily your skin can be, and etc. Another big reason why we get acne and have breakouts is stress. When we are stressed, our hormones can fluctuate in an unusual manner, affecting our skin negatively. 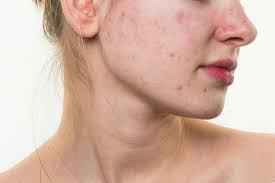 This results to an influx of sebum, which then leads to frequent and more severe acne. One may disregard his/her pillowcase, but unchanged pillowcases can house dirt and bacteria that can influence the presence of acne. Naturally, we are always shedding dead skin cells, especially when we are asleep. Thereby, try to change your pillowcases frequently. Smoke from cars and cigarettes can also be bad for the skin. When we are exposed to smoke from vehicles, some toxins can attach to the skin causing inflammation and flare-ups that can lead to more acne. This is the same case with smoke from cigarettes. But when you do the smoking yourself, it dries out your skin and prevents proper distribution of collagen. When this happens, your pores become irritated and you may get more wrinkles. Hair products like shampoo, hair wax, and even conditioners can cause acne. This is because when they are not rinsed properly, they can enter the pores. This results to clogging, which eventually leads to pimples, and even acne on your chest, back, and hairline. Don’t touch your pimples! No matter how tempting it may be, poking or pressing on your pimples can be very bad for your face. If you pick on a pimple, you’re either spreading the bacteria or pushing it deeper. 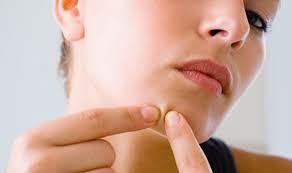 Acne scars are also the result of a wound caused by forcibly picking a pimple. If you want to get rid of, or avoid getting acne, you should wash your face as you get home or before going to bed. All the sweat, dirt, and oil that’s been built up in your face the whole day will settle into your pores and cause more acne and pimples if you don’t wash it away. The takeaway here is to simply implement proper hygiene, it can give you more benefits than you would imagine. Obviously, these things are called ‘junk food’ for a reason. Junk foods have no proper nutritional value, in addition to being produced in nasty oil. They contain too much carbs that can lead to inflammation all around our body.